Judge Brett Kavanaugh testifies before the Senate Judiciary Committee during his Supreme Court confirmation hearing in the Dirksen Senate Office Building on Capitol Hill in Washington, DC, U.S., September 27, 2018. WASHINGTON - Days after being ordered to look into sexual misconduct allegations against U.S. Supreme Court nominee Brett Kavanaugh, the FBI has talked with his high school friend Mark Judge, but the interview is not complete, his attorney said on Monday. Members of the Senate Judiciary Committee voted on Friday in favour of Kavanaugh’s nomination, but a full Senate vote on confirmation was delayed for a week after President Donald Trump bowed to pressure from moderate members of his Republican Party for the FBI probe. On Monday, the president, who nominated Kavanaugh to the top U.S. court, said the FBI would have free rein to interview any witnesses it deemed necessary. He added he did not want the probe to become a “witch hunt” and that it should be completed quickly. 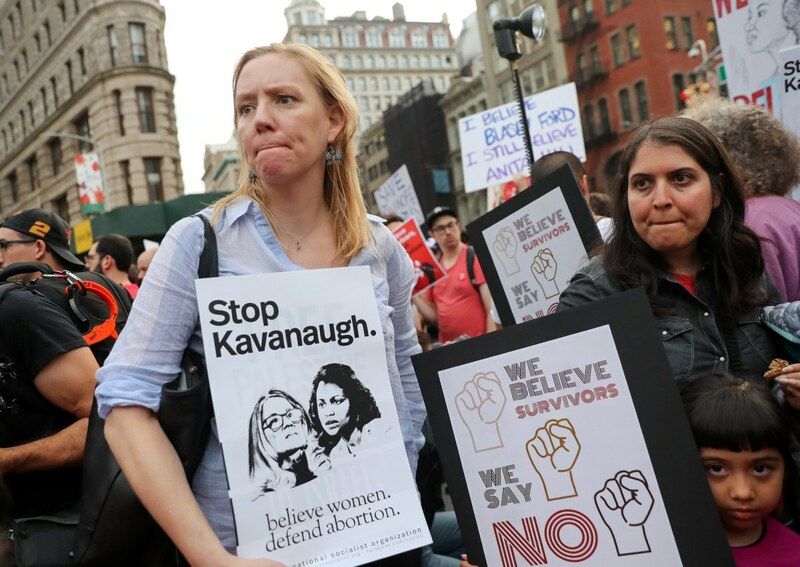 Coming just before Nov. 6 elections when control of Congress is at stake, the nomination has become a politically explosive issue, with some Republicans fearing that pushing ahead with confirmation would alienate women voters, while Democrats seek to capitalize. Ford said during her testimony at a dramatic Senate hearing last Thursday that Judge was in the bedroom where the alleged assault by Kavanaugh occurred. She said Judge and Kavanaugh were both drunk at the time. Judge has written several books, including one titled “Wasted: Tales of a Gen X Drunk,” and one titled “God and Man at Georgetown Prep: How I Became a Catholic Despite 20 Years of Catholic Schooling.” He and Kavanaugh were classmates at Georgetown Preparatory School, an elite private school outside Washington. Michael Avenatti, lawyer for the third woman, Julie Swetnick, told CNN on Monday that his client had not been contacted by the FBI. Nine of 10 Democrats on the Judiciary Committee wrote on Monday to FBI Director Christopher Wray and White House Counsel Don McGahn, listing 24 people they said should be interviewed by the FBI, and urging that the investigation assess all three allegations of sexual misconduct. Supreme Court nominations require Senate confirmation. Trump’s Republicans control the Senate by a 51-49 margin. That means if all the Democrats vote against Kavanaugh, Trump could not afford to have more than one Republican oppose his nominee, with Vice President Mike Pence casting a tiebreaking vote. In a statement to media, Chad Ludington, a Yale classmate of Kavanaugh, said the judge was not truthful about his drinking during his Senate testimony last week and that at Yale, Kavanaugh was “a frequent drinker and a heavy drinker” who often got belligerent and aggressive when drunk.